I’m Dr. Wes Yemoto of Wesley P. Yemoto DDS. My office is located at 4860 Cherry Ave Ste F in San Jose. One of the best things about being a dentist is interacting with my patients. During initial dental consultations, I listen carefully to my patient’s short- and long-term dental goals. I enjoy discussing options and developing effective treatment plans tailored specifically to each person. Some of my patients desire a total smile makeover. I explain in detail the treatments available including teeth whitening, dental veneers, orthodontics, crown restoration, and dental implants. If a patient is nervous about undergoing treatment, we discuss oral conscious sedation. Oral conscious sedation, sometimes called oral sedation dentistry, is a great option for anxious patients. Dental visits do not have to be painful! 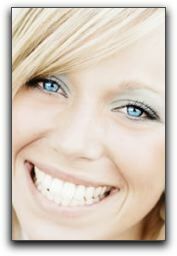 I never get tired of creating dramatic smile transformations for the best patients in California! If you have been considering a smile makeover, let’s talk about your smile. Call Wesley P. Yemoto DDS at 408-266-9957 to schedule a cosmetic dentistry consultation.